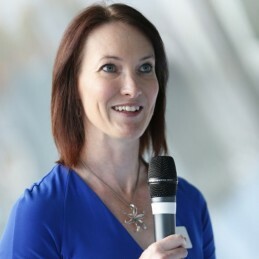 Alison is an award-winning sports broadcaster, who was voted Sports Broadcaster of the Year by the Sports Journalists Association (SJA). She is the first woman to commentate regularly on the BBC’s Test Match Special and is Britain’s leading female cricket broadcaster. A trailblazer in her field, she was also the first woman to commentate on international cricket for ABC Grandstand in Australia. She has now toured to every Test playing nation to cover the England team. She is a respected journalist, having handled hard sports news such as the death of Bob Woolmer at the Cricket World Cup in 2007 when police launched a murder inquiry – a story Alison broke on air and had to cover single-handedly as the only BBC reporter in Jamaica’s capital at the time. As well as cricket, Alison has commentated on and presented live from Wimbledon and the Australian Open tennis, the Open golf, international hockey and artistic gymnastics. She was the gymnastics commentator for BBC Radio 5Live at the London 2012 Olympic Games, helping the station to win a Sony Gold Award for its coverage. She was also part of Channel 4’s Bafta Award winning coverage of the Paralympics. Alison has worked across all the major BBC Networks. She spent many years as a sports news presenter for Radio Five Live and has also presented for Radio One’s Newsbeat, including a stint on the Chris Moyles Show. She also presents sport on the Today programme on BBC Radio 4 and in January 2015, she took on the role of lead presenter of Stumped, the weekly cricket show on the BBC World Service. As well as broadcasting, Alison spends a lot of her time speaking at some of the most important events in the country. She has a number of brilliant anecdotes about the challenges she has faced throughout her career – from the pressures of being the only woman in the TMS team, to being the subject of a very public break-in-and-rescue (from a toilet!) by India’s Rapid Action Force!